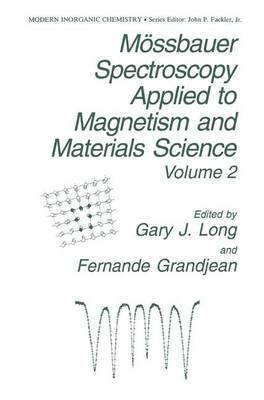 This book represents Volume 2 in a series on the use of Mossbauer spectroscopy in the study of magnetism and materials. However, the perceptive reader will notice some differences from Volume 1. Specifically, in order to market the book at a more affordable price for most universities and research laboratories, the book has been prepared in camera- ready format The editors and the authors agreed to do this because there is a demand for such a book in the Mossbauer community. This format has placed an extra burden on the editors and the authors and we hope we have overcome all the difficulties generated by the transfer of files between different computers. In order to make the book more attractive to materials scientists who are not experts in Mossbauer spectroscopy, this volume is particularly oriented towards the study of materials by Mossbauer spectroscopy and related complementary techniques, such as neutron scattering and a variety of surface scattering techniques. The authors of this volume can be proud of the high quality professional effort they have devoted to clearly presenting their specific topics. As a result we very much enjoyed working with the authors on this volume. We hope that their effort will help to educate the next generation of Mossbauer effect spectroscopists, a generation which will face the challenge of maintaining equally high scientific and professional standards in their research work.